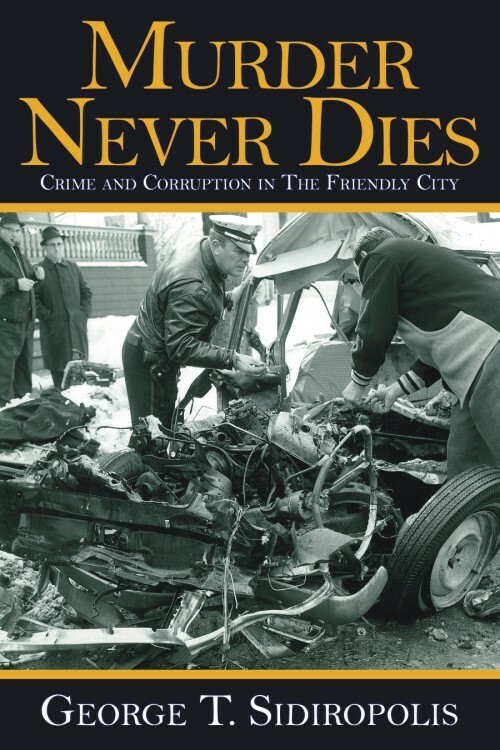 Author and researcher, George Sidiropolis, exclusively reveals a previously hidden and shocking truth in his new book, Murder Never Dies—a detailed chronology and factual account of decades of rampant virgin crime and corruption in a city that became known as “Little Chicago.” The research illustrates a life experience of virtuous people who suffered unfairly and were shamefully abandoned. Their profane and immunized guardians engaged in wholesale bribery and unlimited decadence that made the city a bread basket of crime. Wheeling, WV, was forever changed. Excellent, a good read with insight into what went on behind the scenes in Wheeling, WV. A city called little Chicago in post World War II era. Thoroughly enjoyable, I couldn’t put it down. The author paints a picture of what life was like in back in the day through the eyes of the people who actually lived it. This provides context and color for the exciting real life stories he tells about bootlegging, gambling, and other illicit activities taking place during the early and mid 20th century. Old Charlie Manson even makes a cameo appearance. As they say “You can’t make this stuff up”.